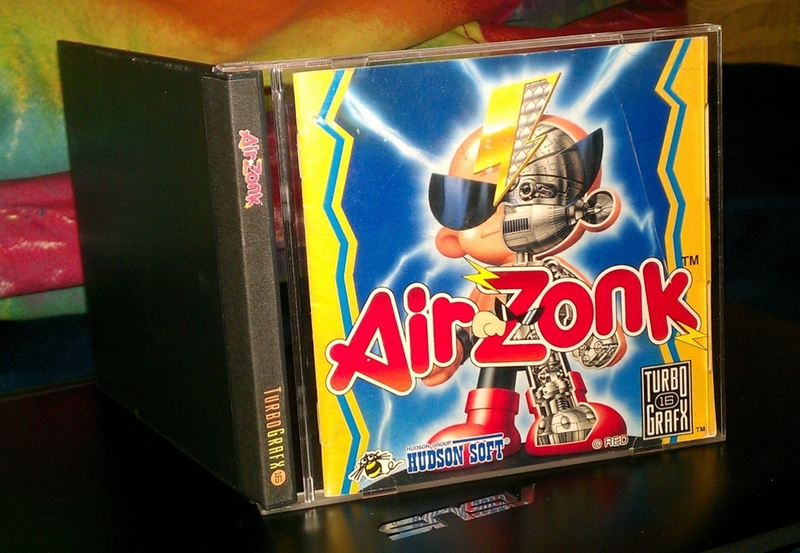 Rather than go the route of buying new labels for all my TG16 games, I decided to simply craft my own end label for Air Zonk, since it didn’t come in a jewel case originally. 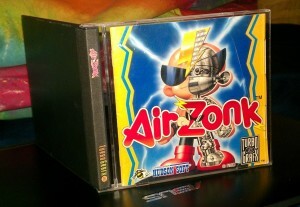 Therefore, I decided I could use a bit of freedom in designing it instead of adhering to the official label designs. Here it is in case anyone wants to print and use it themselves. Proper dimensions are 2.5cmx11.9cm. Not bad for homemade, I’d say.